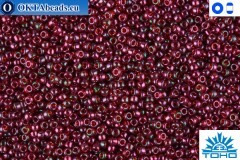 Size - 11/0 1,6mm Package - 5g (gross weight 5,5g) Specification - seedbeads Delica, color - Matte Transparent Root Beer (DB769) Country of origin – Japan.. 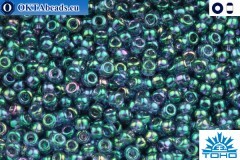 Size - 11/0 Package - 10g (gross weight 10,5g) Specification - japanese seed beads, color - Gold-Lustered Mediterranean Sea (321) Country of origin – Japan.. Size - 11/0 Package - 10g (gross weight 10,5g) Specification - japanese seed beads, color - Gold-Lustered Raspberry (332) Country of origin – Japan.. 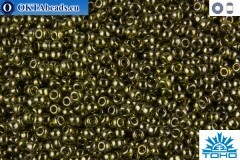 Size - 11/0 Package - 10g (gross weight 10,5g) Specification - japanese seed beads, color - Gold-Lustered Fern (333) Country of origin – Japan.. Size - 11/0 Package - 10g (gross weight 10,5g) Specification - japanese seed beads, color - Gold-Lustered Green Tea (457) Country of origin – Japan..